• Do you need entertainment that is thought provoking and engaging? • Are you looking for something new, unique, and exciting for your next event that will have your guest talking? One of the most unique and astonishing acts you’ll ever see! If yes – then the Saint Twins amazing TSP: Twin Sensory Perception™ show is exactly what you need to satisfy the discriminating taste of your audience. The Saint Twins exciting, entertaining and mind-boggling show will have your audience on the edge of their seats! Watch them entertain and astonish YOU with your own thoughts! The Saint Twins understand that you have many options when it comes to hiring entertainment. 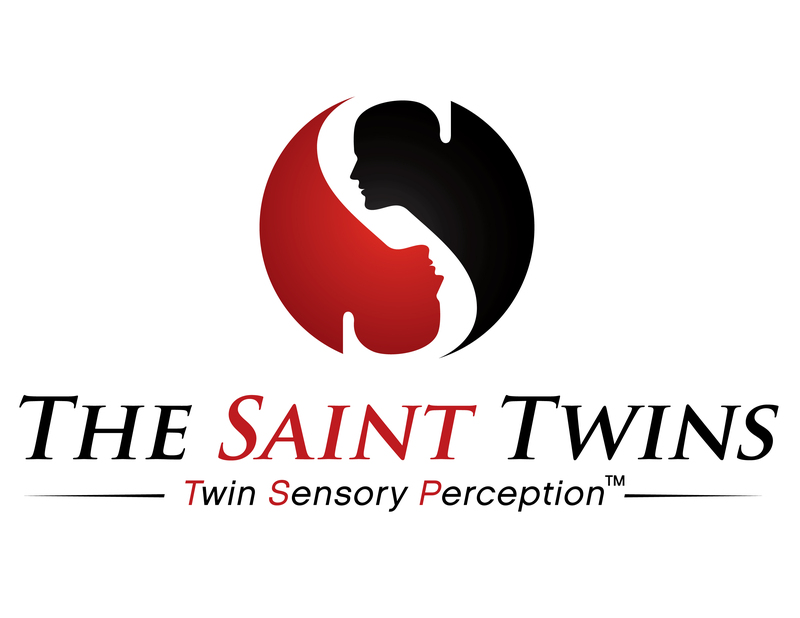 The Saint Twins TSP: Twin Sensory Perception™ show is an amazing show unlike any other. The Saint Twins have a perfect blend of comedy, twin mind-reading, persuasion and audience participation. This dramatic yet up-beat program masterfully illustrates the strange and incredible mysteries of twins and the human mind. Your audience will thank you for having the Saint Twins and you will look great in the eyes of your clients and peers. What can I expect to see in the Saint Twins TSP show? 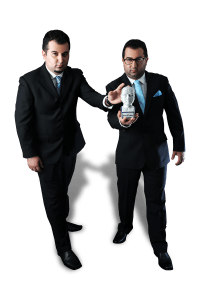 You can expect full audience participation during the Saint Twins 30-75 minute show, during which they will demonstrate the amazing mysteries of twins and the human mind. Pick a thought — any thought. The Saint Twins will tell you what it is! Name of first loves, special dates or even the exact amount of money in someone’s pocket – it’s no challenge to the Saint Twins. If it is on your mind – the Saint Twins can reveal these innermost thoughts. Your audience will be entertained, engaged and astonished! No secret assistants or confederates are used at anytime… SATISFACTION GUARANTEED! The Saint Twins receive absolutely ZERO information before their performances. The names, numbers & innermost thoughts that they reveal are those actually held in the minds of the audience — all strangers to them. The Saint Twins offer a 100% full refund of their fee to anyone who can prove that there are stooges or secret assistants planted in the audience. We are so confident that you will be nothing less than thrilled with their show – that the Saint Twins offer a money back guarantee if you are not happy with their performance. The Saint Twins amazing TSP show is sure to leave your audience amazed and thoroughly entertained. Dates disappear fast, so call now & book the Saint Twins for your next event and get ready to watch your audience be entertained and astonished! “I had the pleasure of working directly with the Saint Twins at our Fitness Business Summit at the beginning of March 2014, and their tremendous abilities never ceased to amaze me. Their abilities to entertain the crowd and get them pumped for the remainder of the Summit was incredible. 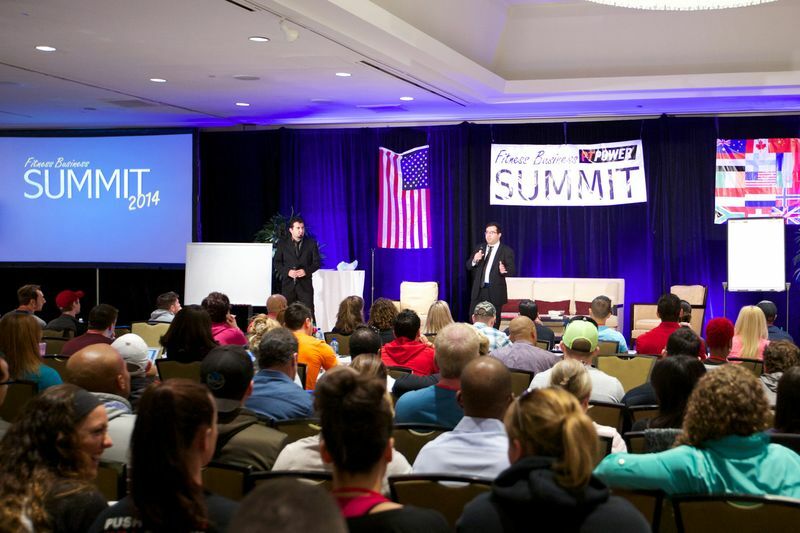 I would definitely recommend them for any event.” –Kristen Rollins, Executive Assistant, Fitness Business Summit 2014. You won’t see any large or unusual props from Adrian. Instead, he works with you and your audience one on one, whether on stage or close up showcasing impossible and thought provoking demonstrations of the human mind. 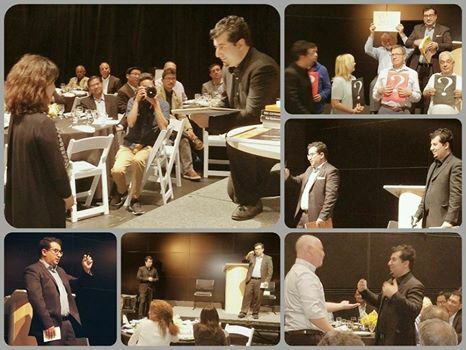 He will astonish you with mind blowing routines and ideas you never thought possible with everyday objects such as books, a deck of playing cards and pads of paper. He will amaze and entertain you with your own thoughts!